“It doesn’t take a nuclear physicist to know that storing World War II-era nuclear waste under 10 feet of dirt for over 30 years is a bad idea. You don’t know what will happen,” Schumer said. But the New York Democrat acknowledged hitches: gaining federal funding and making its removal a priority. The cleanup is estimated to cost about $490 million over eight to 10 years. 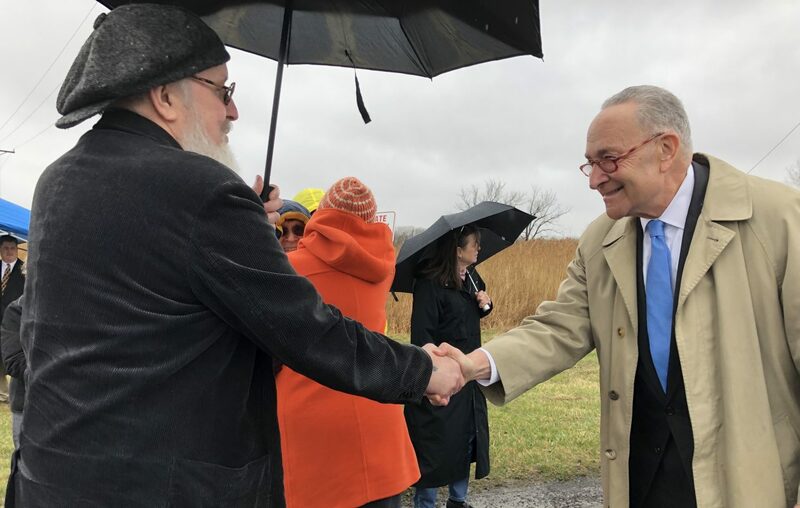 “We’re going to launch a push to finally get this radioactive material out of Lewiston and out of Niagara County for good,” Schumer said during a visit to the site. Schumer called on congressional leadership to boost federal funding by $250 million for cleanup programs like this one. He also called on the U.S. Army Corps of Engineers, which is tasked with overseeing the Lewiston remediation, with making the removal of the waste a priority on its list of projects. “The fact is that a lot of the materials – including very dangerous radium-226 – is still stored here,” Schumer said. “This is the largest concentration of radium-226 – a dangerous radioactive substance – in the world." In the short term – for up to several more decades or so – the buried material is safe underground in a tomb of concrete and clay, said Corps of Engineers officials. The federal agency announced last month it would dig up and remove the radioactive material. 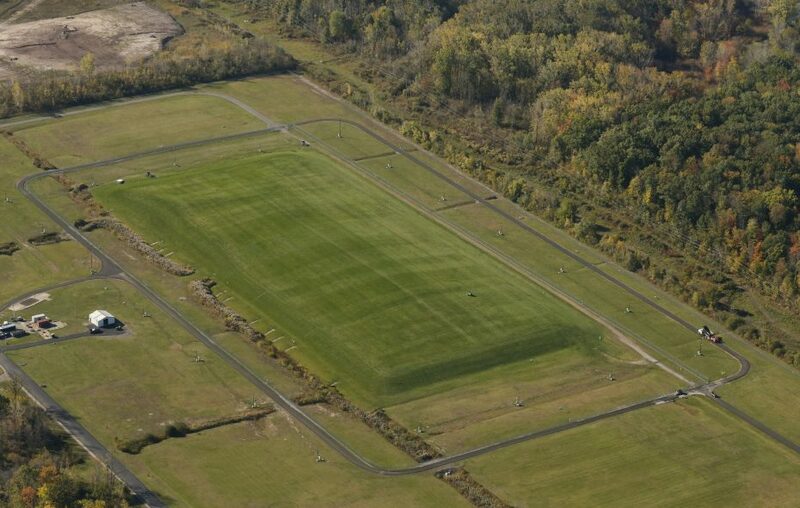 Agency officials envision a 1,000-year solution for the material at a national storage site. "Either to Texas or Utah," said Bill Kowalewski, the chief of the special projects branch for the Corps of Engineers. Kowalewski said it would likely take a couple of years for design work and site preparation to occur before any construction begins to open up the clay and concrete berm created by the Department of Energy in the early 1980s. He estimated that about 250,000 cubic yards of material would be shipped by truck or rail to its next destination. "They have different sites that store nuclear waste, not in the middle of heavily populated areas, but in the middle of deserts," Schumer said. "They have sites far away from any human being that are much better than right here in the middle of the Town of Lewiston." T.J. Pignataro – T.J. Pignataro has been a staff reporter for The Buffalo News for more than 20 years and the environment and weather reporter since 2013. He holds a juris doctor degree from SUNY Buffalo Law School.